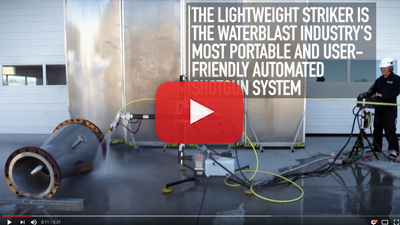 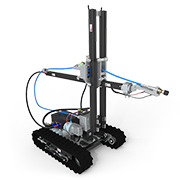 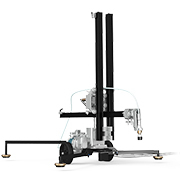 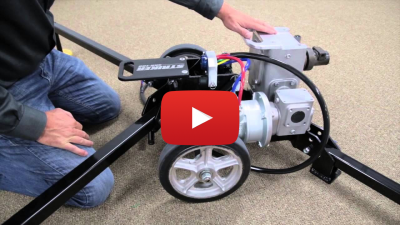 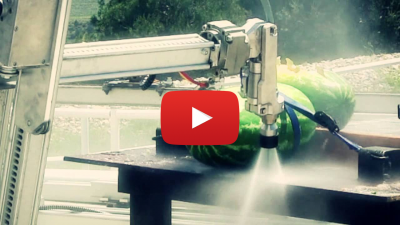 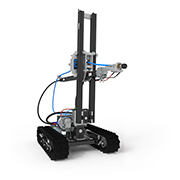 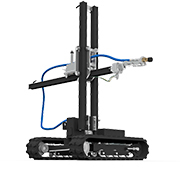 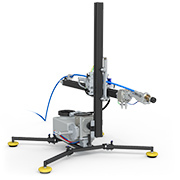 The Tracked Striker adds mobile positioning, wireless control, and increased thrust to the Striker system for safe, high powered automated surface cleaning. 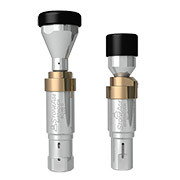 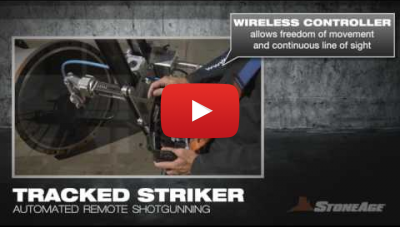 Wireless remote control gives the operator complete freedom of movement to maintain line of sight while enabling precision control of the shotgun nozzle from safely outside the blast zone. 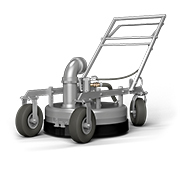 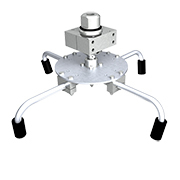 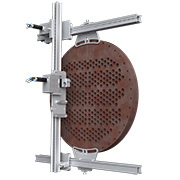 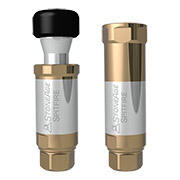 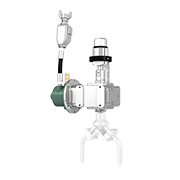 The steerable tracked base allows for continuous cleaning without needing to stop for repositioning, making the Tracked Striker the ideal solution for pad work.